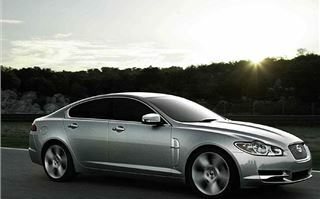 This is a twin-test of the all-new Jaguar XF 5.0 V8 petrol and 3.0 V6 diesel. And it’s all about torque. Simple, straightforward research has shown that 80% of all driving is below 2,500rpm, and 95% is below 4,000rpm. 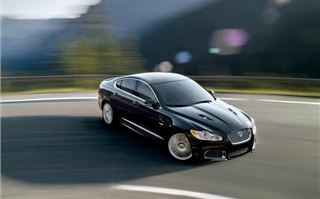 So Jaguar concentrated on making its new engines develop as much torque as possible at low rpm. And, of course, as well as making the engines more pleasant to drive, more torque at lower revs means better fuel economy. 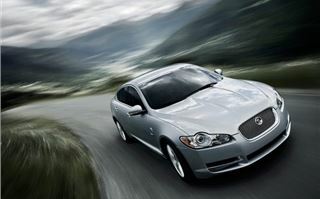 The new Jaguar 5.0 litre V8 develops an impressive 31% to 34% more torque than the old 4.2 between 1,500 and 3,000rpm. However the new 3.0 V6 S diesel doubles this improvement by developing a massive 61% more torque at 1,500rpm than the old 2.7 V6 diesel. 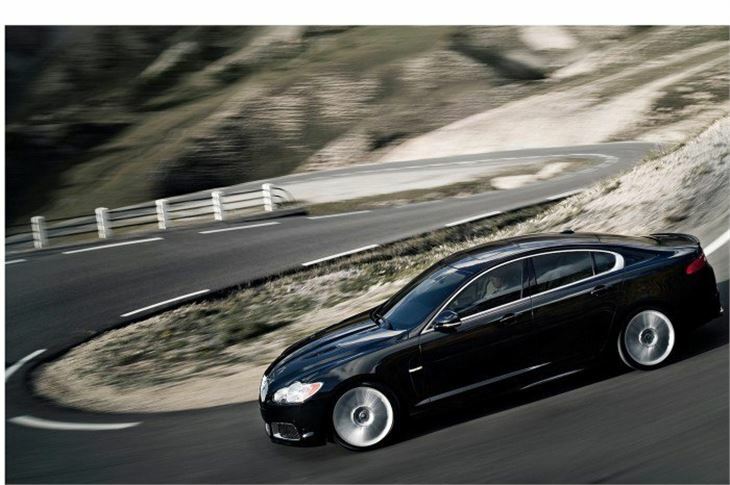 More torque than the benchmark BMW 535d twin turbo. Up to 600Nm. 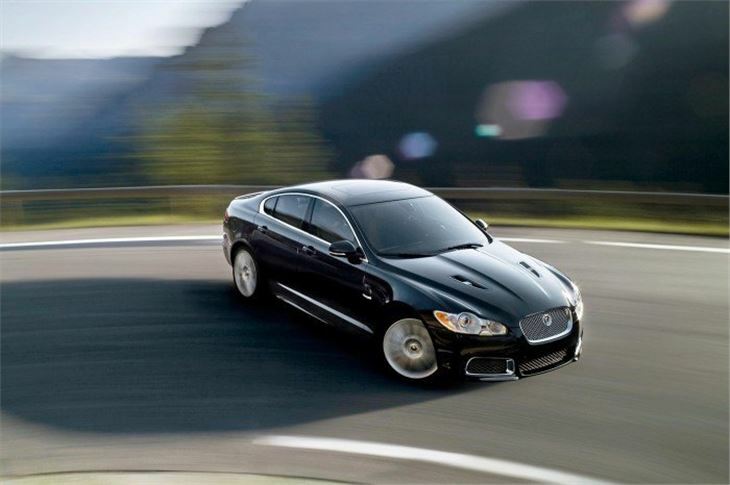 For the XF 3.0 diesel engine, Jaguar has used sequential turbos differently. Like Volvo with its new D5, the big turbo comes in first, and the smaller turbo only at high revs. So actually the two turbos are running together less of the time than a pair that started small turbo first. The added effect is faster throttle response, eliminating the bottomless pit that can bog a diesel automatic down when entering roundabouts, pulling out of junctions or hauling itself round an uphill hairpin bend. As we found, this only happens in the 275PS/600Nm version when both ‘Sport’ and ‘Dynamic’ modes are selected. Normally, it’s like the usual diesel car with a pot-hole in the power delivery below 1,500rpm and a reluctance to get out of bed. But select both Sport and Dynamic and, even leaving it in full automatic mode, the system keeps the engine in the 1,750 – 4,000rpm rev range where it gives its best. 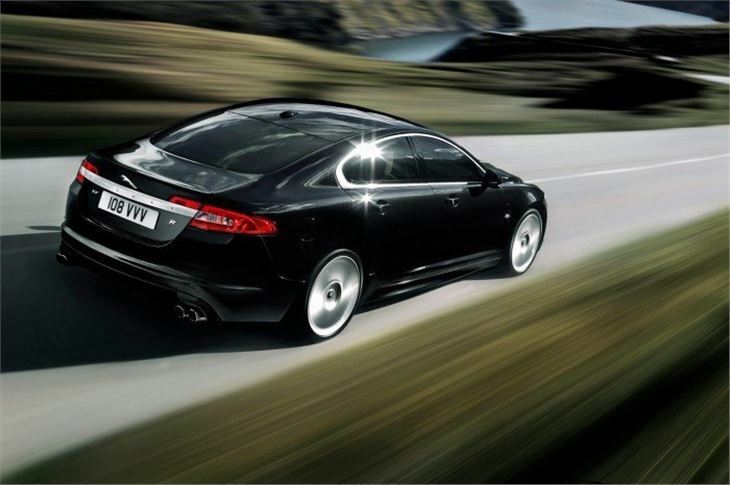 Normally it won’t drop below 2,000rpm, and even on hairpin bends the revs stay where maximum torque is delivered. Gearchanges are lightning fast, and you can’t beat the box with the paddleshifters. Our XF 3.0V6 diesel S was on 245/40 R19 tyres that gave it a noticeably better ride than the 5.0V8 on 245/40 R20s. Grip and roadholding didn’t seem to be affected on the lesser rubber, so I can’t recommend anyone going for the 20” in preference unless the sole purpose of the car is to impress rappers or footballers wives. There’s also a lower powered 3.0V6 diesel with 240PS and 500Nm torque, but the same CO2 and fuel economy figures, for £3,000 less that offers near identical performance to the acclaimed BMW 530D 235. Though the Jaguar XF 3.0V6 diesel I drove was good, got better the longer I drove it and, rationally, at 42mpg v/s 25mpg, would have to be my choice, the all new 5.0V8 is a real soul stirrer. At full chat, it offers a similar NASCAR-like sound-track to an Audi RS4 or R8, Mercedes 6.3AMG and BMW M3 V8. It has the same lightening fast gearshift as the XF diesel with a big gear indicator between the speedo and rev counter and, with a much wider powerband, seems to respond better to using the paddles than the diesel does. But the cost in CO2 taxes is based on 264g/km instead of the 179g/km of the diesel. And, frankly, if you’re a real petrolhead, the one to have is the 510PS, 625Nm torque XFR that, at 292g/km, won’t actually cost you any more in VED, though will on BIK on the extra £10,000 Jaguar wants for it. The new Jaguar XF 3.0V6 diesel, with lower CO2 than the old XF 2.7V6 diesel will actually cost a 40% taxpayer £1,800 less over 3 years. I realise this report has been about performance rather than luxury and ambiance, but that’s the way Jaguar wants to go. It is now building a diesel that isn’t merely the equal of the BMW 535d, it’s better. 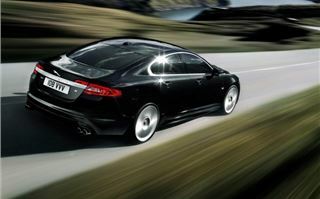 And an XKR that, by all accounts, trounces the M5 and the E63AMG. 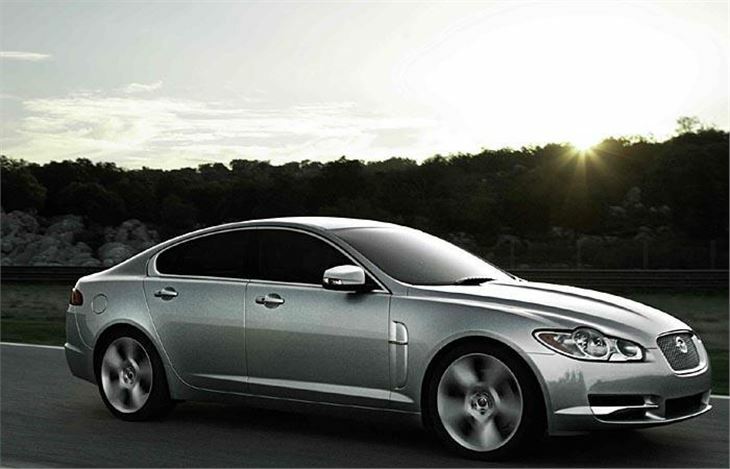 The XF 5.0 V8 sits in the middle ground and will only be sold in the UK to special order. While the XF 3.0V6 petrol soldiers on in the background, also to special order only. 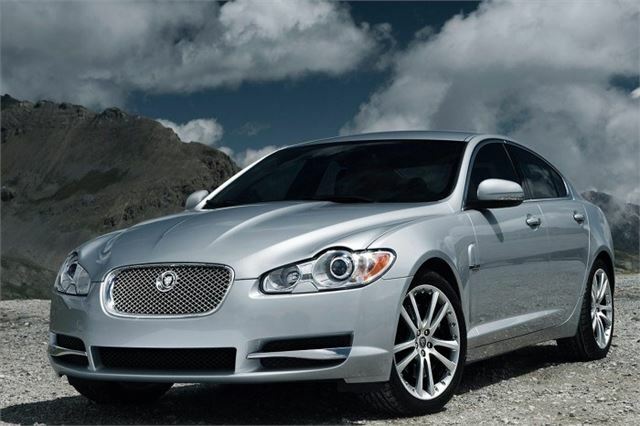 The 2009 Jaguar XF (designated XF 2010 model by Jaguar) is essentially, a class-leading diesel and a class-leading high performance saloon. 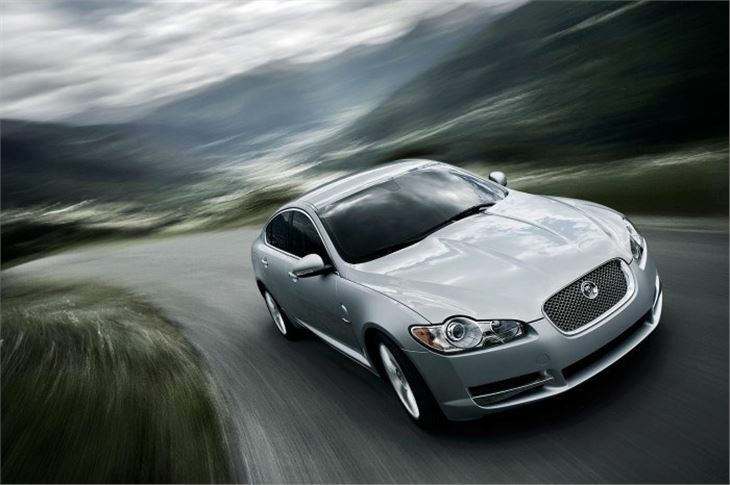 Reliability is no longer an issue, with Jaguar now coming out as at least the equal of all the Germans. 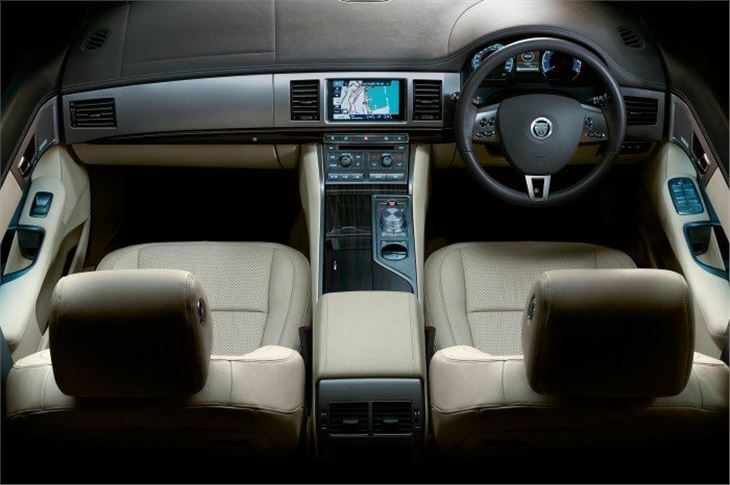 And the cars are so fully equipped as standard, you don’t need to spend an extra £10,000 on essential extras like satnav and leather. I can see quite a lot of Audi, BMW and Mercedes owners and company car drivers finally jumping ship. Later I was afforded the rare privilege of a week with the Jaguar XFR, the almost fire-breathing 510PS version of the XF that throws down its mantle to the Audi RS6, BMW M5 and Mercedes E63AMG. Around town, apart from the thumping and crashing of its 285/30 x 20 rear tyres, it’s almost docile. But put your foot down even without engaging ‘Sport’ and ‘Dynamic’ modes and, after a moment’s hesitation, the acceleration is so ferocious I strong advise driving this beast two-footed at all times so you can instantly reign it in. My week with the car involved a 600 mile journey to Northumberland and back which my pocket was dreading. Around town, consumption had sunk to 20mpg. But a friend with a DB9 reckoned if I cruised at 70-80 I’d get 28 on the motorway, and sure enough I did. Well, 27.5, which is 5mpg better than the official combined figure. Strangely, that 16 mile stretch of 50 limit on the M1 didn’t help much. Consumption was pretty much the same at 50 as it was at 70. A bit of fun in Northumberland, and the necessity of overtaking small convoys of cars on the A68 quickly rather than dawdling on the wrong side of the road, brought that down to 26.3mpg over a total of 620 miles, removing a major worry. The car is not quite as juicy as I had thought and for its potential performance level is actually reasonably economical. Use that performance, though, and you’ll be making more visits to the ATM than a sugar daddy with a new girlfriend.